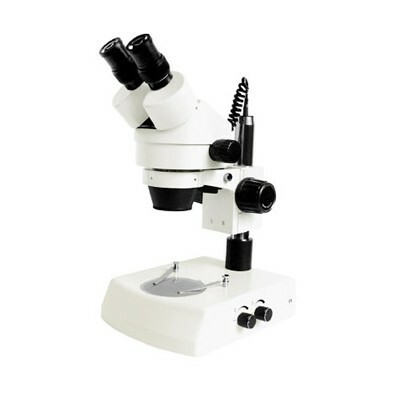 India Tools & Instruments Co. has a huge reputation in the domain as one of the popular Zoom Stereo Microscope Manufacturers, suppliers and exporters from Mumbai. We use the latest technologies and modern strategies to produce the best quality that offers guaranteed results. In sync with a team of experts and highly qualified professionals, we manufacture instruments which are tailored to customer’s expectations and deliver the excellent experience to the customers. These types of microscopes are used widely in laboratories to examine minute objects accurately, thus, the need for lenses is different as per the testing needs. Hence, we offer customizations in our instruments so you can attain accurate results as expected. Being a popular Zoom Stereo Microscopes manufacturer, supplier and exporter from India, we are also looking forward to establish and maintain clientele in the regions of Angola, Sri Lanka, Bhutan, Bangladesh, Africa, Australia, Libya, Mauritius, South Africa, Malaysia, Kenya, Syria, Italy, Philippines, Mexico, Uganda, Dubai, Kuwait, Japan, Abu Dhabi, Korea, Jeddah, Nepal, Turkey, Singapore, Liberia, Brazil, and Hong Kong. Send us your enquiry to order now.